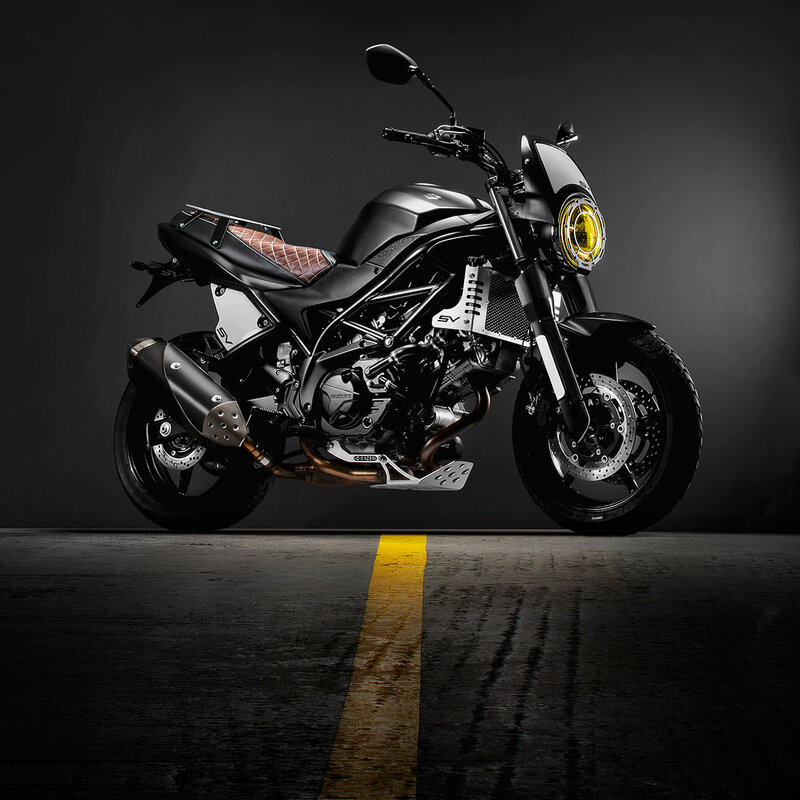 The Suzuki SV650 is by far one of the best bikes you can get for the money. 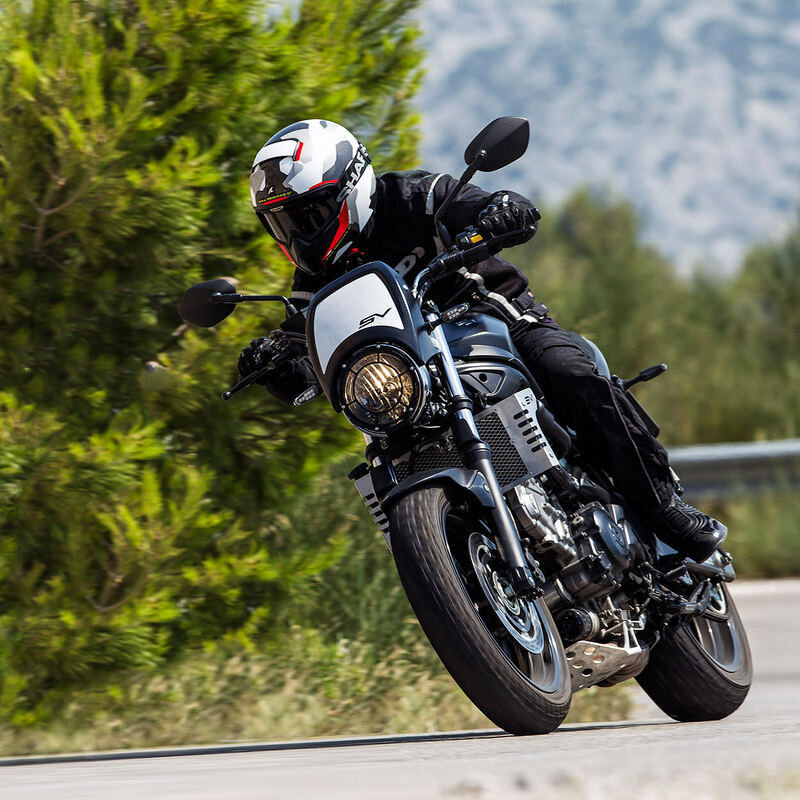 It offers out of the box performance, blended with comfort and reliability any rider can count on. All for a sub $7k price. If there were any complaints about the SV, they would more than likely be about the lackluster styling. And that is exactly where C-Racer comes in. Before I jump any further into this kit I do want to clarify something, I love scramblers, I really do. And as much as I love a well done ‘retro’ scrambler build, I can’t stand when it is done on a platform that doesn’t support it. The SV is one of those platforms. 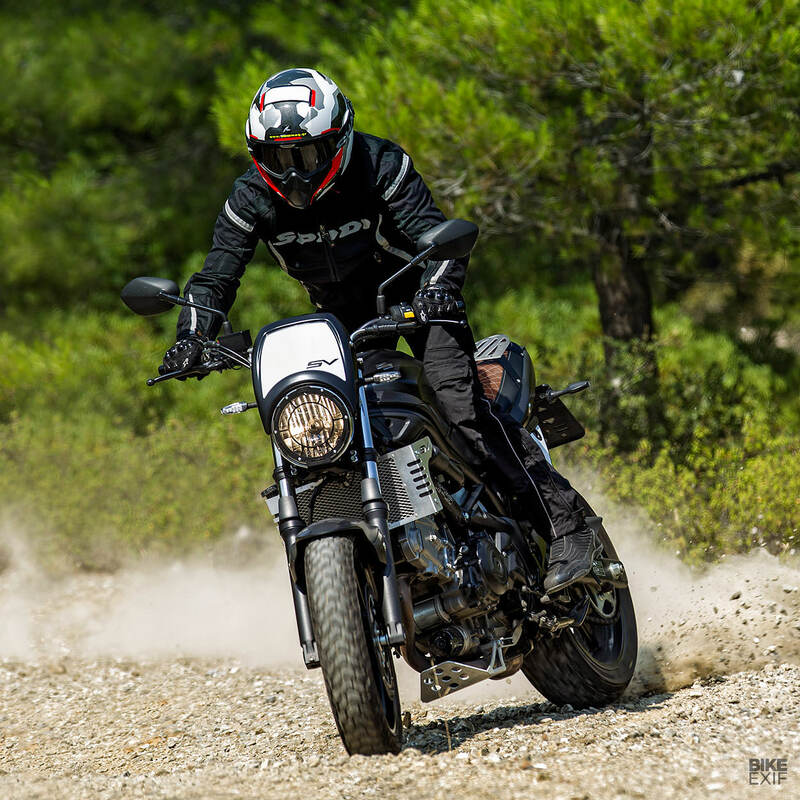 It is designed as a sportbike, making it terrible offroad, and even with knobby tires, it looks more like a fraud than an actual Scrambler. Now that being said I have to admit, I absolutely love C-Racers SV. 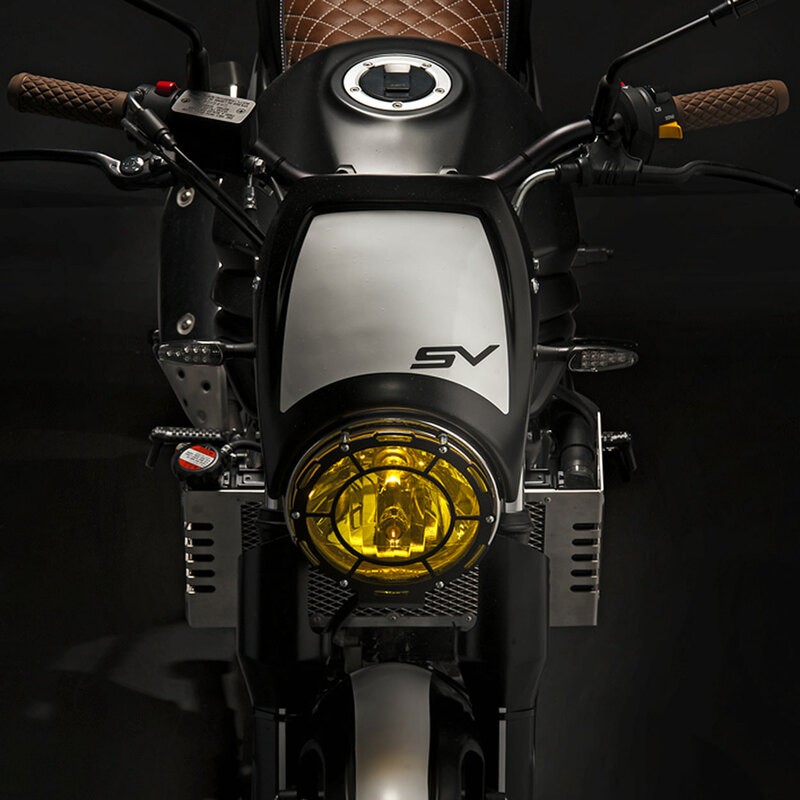 It may be styled after a scrambler, but it is more along the lines of an urban assault bike, fitting right inside the SV’s wheelhouse. That being said let’s jump into what makes this SV so cool. 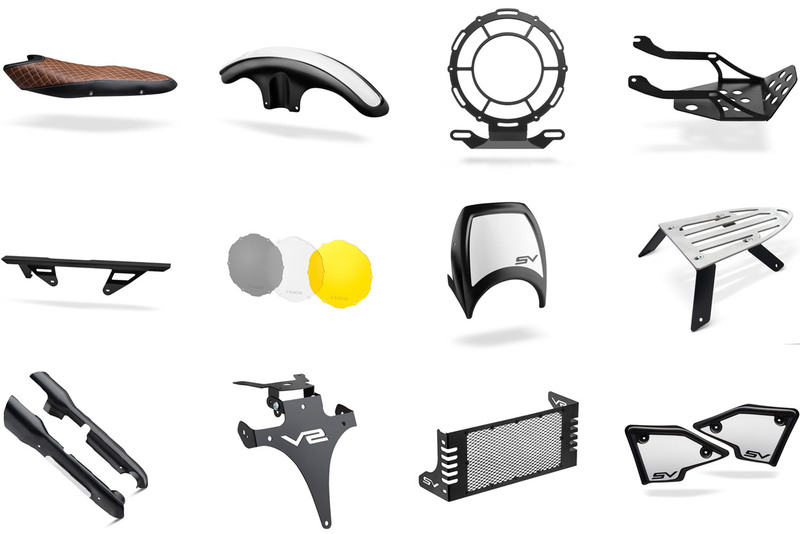 First off, C-Racer scanned the entire bike to build each piece in a 3D rendering. This allows for better R&D, and keeps costs down. All metal parts were laser cut, while all the plastic bits were CNC machined for that perfect fit. That means all the engine guards, chain guard, license plate bracket, and of course license plate mount are all brilliantly laser cut. From there you have the bits that drastically change how the bike looks. First is the all-new headlight cover, with a plexiglass protection that comes in 3 different tint levels. 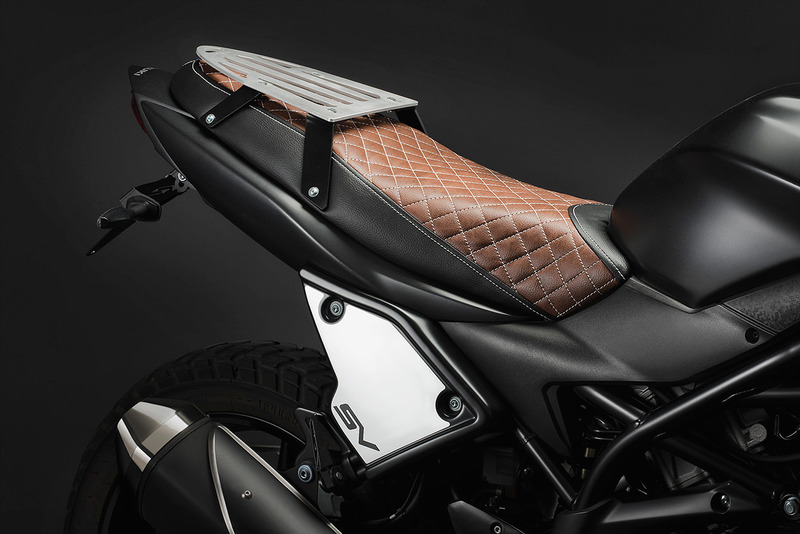 Combine that with the small bikini fairing and this ‘Scrambler’ kit takes on a whole new ‘Cafe Racer’ persona. Lastly, C-Racer equipped the SV with a Renthal fatbars, some custom grips, and enough guards to convince anyone that this SV really is offroad capable. 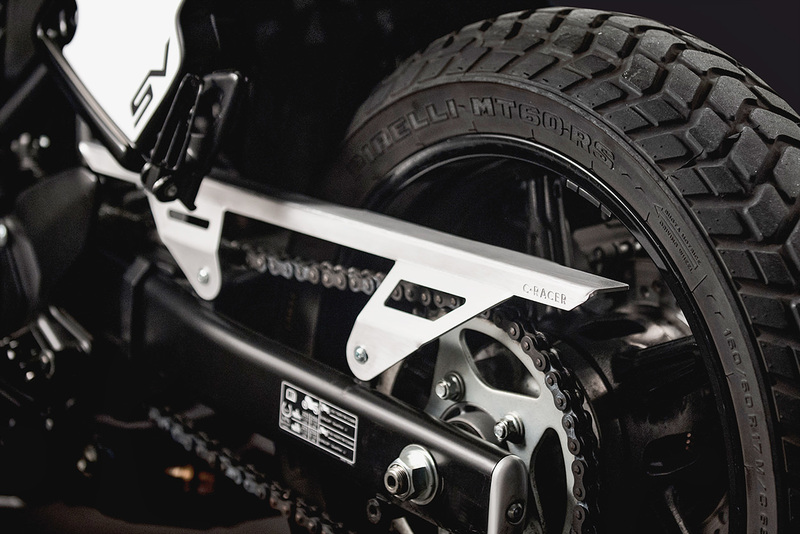 Because of their commitment to the Scrambler movement, C-Racer even equipped the bike with a set of Pirelli MT60’s with the intention to ride it offroad. While I can appreciate their dedication, I would stay well away from dirt roads if this were my SV. But that doesn’t mean this kit is worthless. 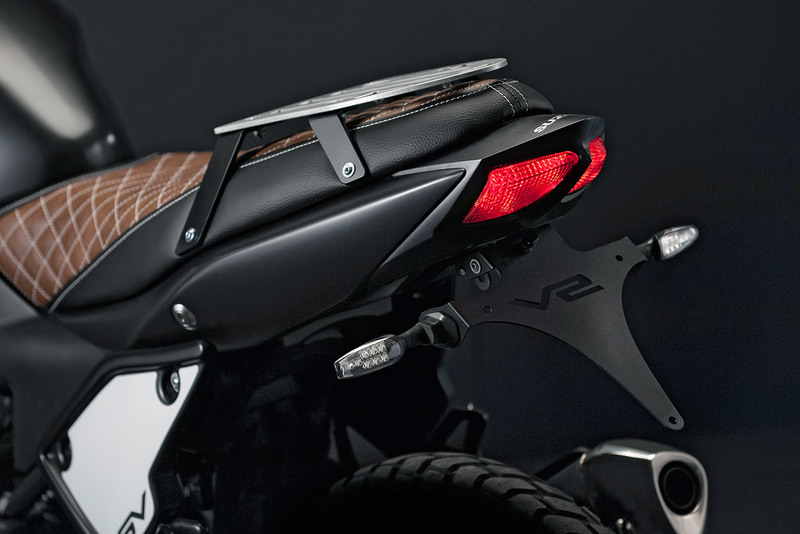 It’s basically a modern cafe racer with riser bars, something that fits the SV’s style perfectly. 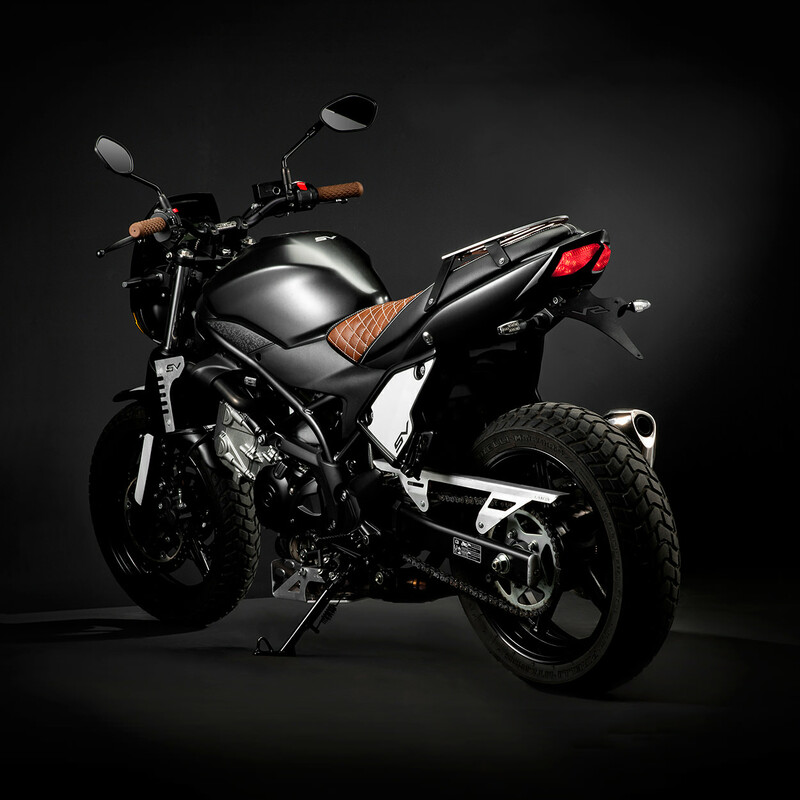 Swap out those knobbies for Pirelli Corsas and ditch the luggage rack and you have yourself a bike that is fast enough, comfortable and now drop dead gorgeous.